I love this smartphone era we're going through. Two years ago, something like Lenovo's new P1 or P1m would have cost a fortune, but now these devices are launching in the low to midrange, with prices that could awe and tempt the best of us. As David said a few days ago, the cheap smartphone is rising and that benefits us all. 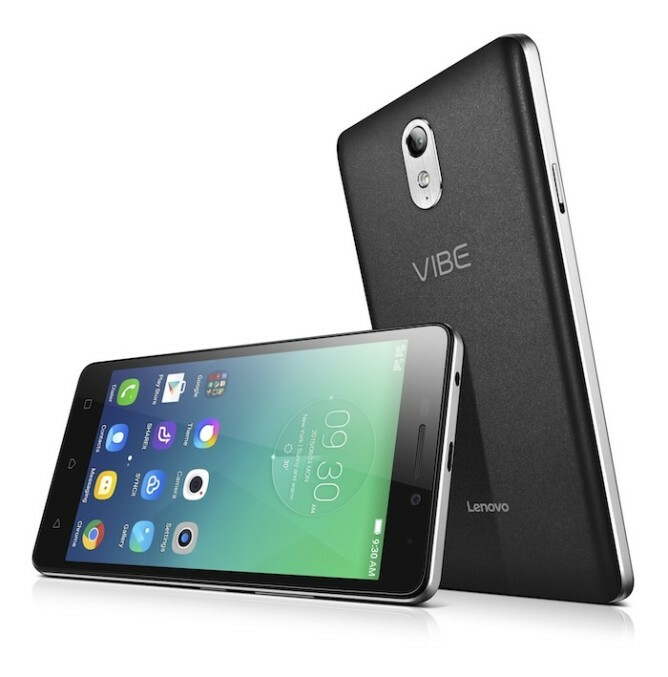 So what's so special about these Lenovo devices? Mostly, their battery size. The larger P1 (5.5" Full HD IPS display) has a 5,000 mAh battery, good for about 45 hours of 4G talk time. The smaller P1m (5" 720p IPS display) gets a 4,000 mAh battery, which should last for 16 hours of 4G talk time. And these phones aren't even that thick to accommodate their batteries: we're looking at 9.9mm for the P1 and 9.3mm for the P1m. But that's not the only trick up the new VIBEs' sleeve. Both devices support Quick Charge to rapidly fill up their huge batteries, and have a dedicated hardware "OneKey Power Saver" switch that elongates battery life by limiting some of the device's functionality when you're in a pinch. They also have OTG charging, which allows them to be used as external power banks that juice up other accessories. The P1 runs on a Snapdragon 615 with 2GB of RAM, and up to 32GB of internal storage. It has WiFi b/g/n/ac, Bluetooth 4.1, NFC, GPS, and 4G LTE connectivity, dual SIMs and a MicroSD slot. A 13MP auto-focus camera with dual-color flash sits on the back, and a 5MP camera is found on the front. 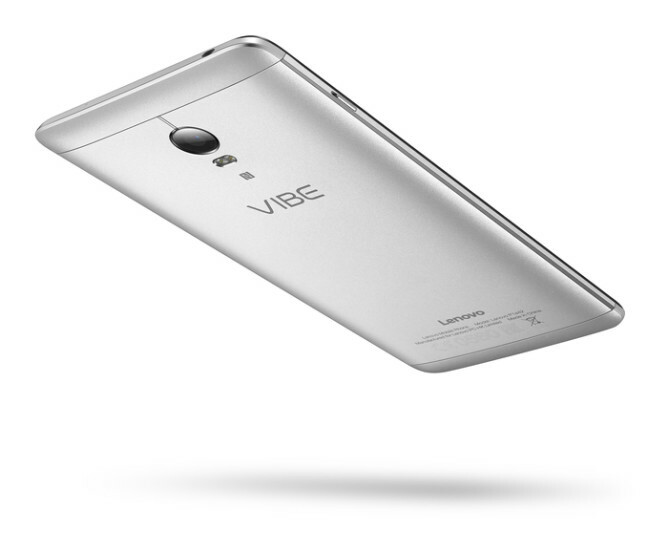 Its most significant features are an embedded fingerprint scanner on the Home button and a metal and glass body with a curved aluminum back. It comes in "Platinum" and "Graphite Grey" colors. The P1m switches to a 64-bit MediaTek MT6735P 1GHz Quad-Core processor with 2GB of RAM, and up to 16GB of internal storage. Connectivity options seem the same, although we're not sure if it has NFC or not. The main camera is an 8MP autofocus sensor with an LED flash, while the front one is a 5MP lens like the P1's. The P1m also has a nano-coating that protects it against spills and splashes of water. It comes in "Onyx Black" and "Pearl White." 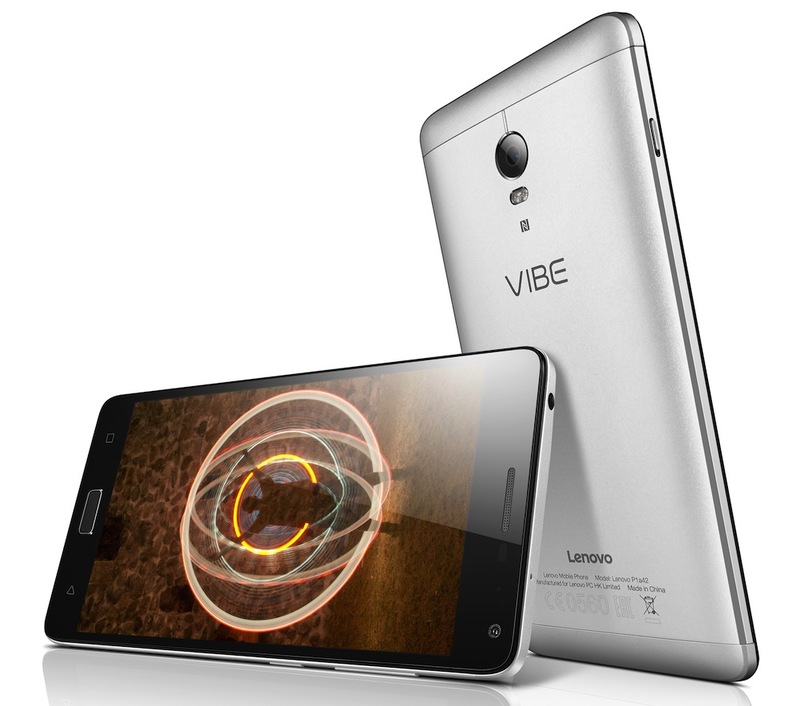 Both devices run Android 5.1 Lollipop and will be available for sale in mid-September "in countries where Lenovo smartphones are sold." This sentence is quickly followed by a note explaining that this doesn't include North America. Prices are very competitive for what you're getting: the P1m starts at $159 and the P1 at $279. What an age we live in!